In choosing to charter a yacht with a broker, you’ve made the decision to have a once-in-a-lifetime vacation experience you’ll never forget. 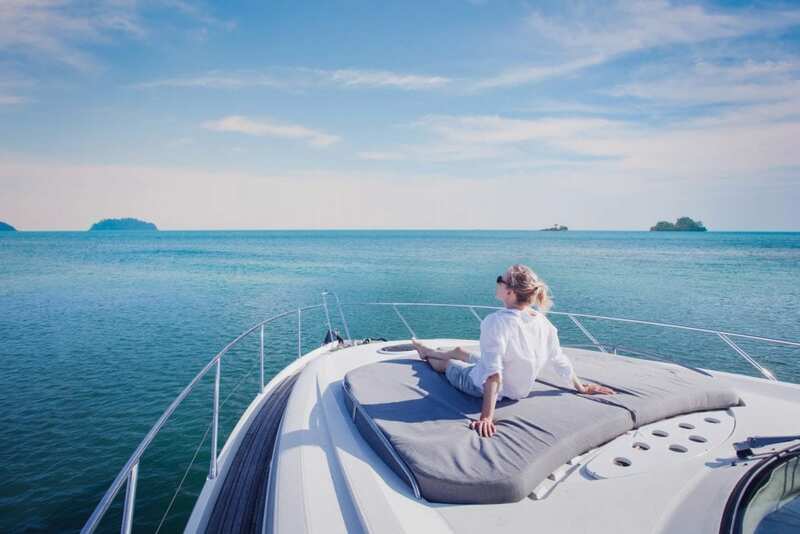 Like a resort and hotel in one, yacht charter vacations are as unique as you are, offering a level of blissful relaxation and flexibility that no other type of vacation can. However, you’ll have to consider a few things before you go; here are our top 5. The type and size of the yacht you choose for your vacation is the number-one consideration for a reason. You need to ensure that you and the other guests you’ve invited will all have plenty of room on board. The size of vessel you choose will also have a direct impact on how much your vacation will cost. Finally, the types and amounts of “toys” available will also differ, and these range from water slides to scuba diving and sea-doos to tubing and wakeboards. So, what kind of yachts are available for charter? There are four main types. These giant vessels are typically over 100 feet in length. Like a small cruise ship, a mega yacht includes a full crew, along with several options for water toys. Some of these huge vessels even include a helicopter! As you may imagine, the mega yacht is the most expensive and luxurious of all charter vessels. Less than 100 feet in length, the motor yacht is a popular option, both for its smaller size and its lower cost. 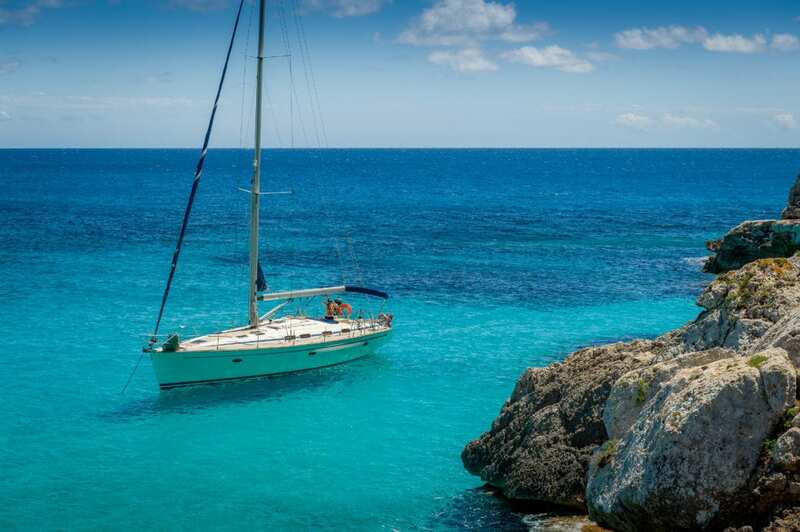 Not only that but, in a smaller motor yacht, you can sail into private coves and enjoy an experience that’s closer to the shore of deserted islands and village ports. This size of vessel can also move faster, allowing you to travel more quickly between islands. Complete with a large deck, a catamaran has two hulls where the cabins are usually located, leaving lots of room for enjoying various activities. Because of the space this particular vessel offers, catamarans are ideal for groups who enjoy hanging out together. A catamaran also offers more stability with its two hulls, which is good news for guests who may be susceptible to getting seasick. A sailing yacht is a wonderful and traditional way to experience “boat life” during your vacation. Imagine hearing just the sound of the water and the breeze as your vessel catches the wind; this is what a sailing yacht offers. Intimate and romantic, this option is ideal for those celebrating a honeymoon or wedding anniversary. Now that you know the size of yacht you want, it’s time to decide where you want to go. If you are in a group where everyone is chipping in, a discussion might be in order. In some cases, a group will elect one person to decide the best destination based on everyone’s preferences. When choosing a spot, consider that every destination’s season will have its peak. If your group prefers a quieter and more private experience, booking as close to the end or the beginning of a season may be ideal. Of course, if they don’t mind crowds, then any time may be a good time to go. 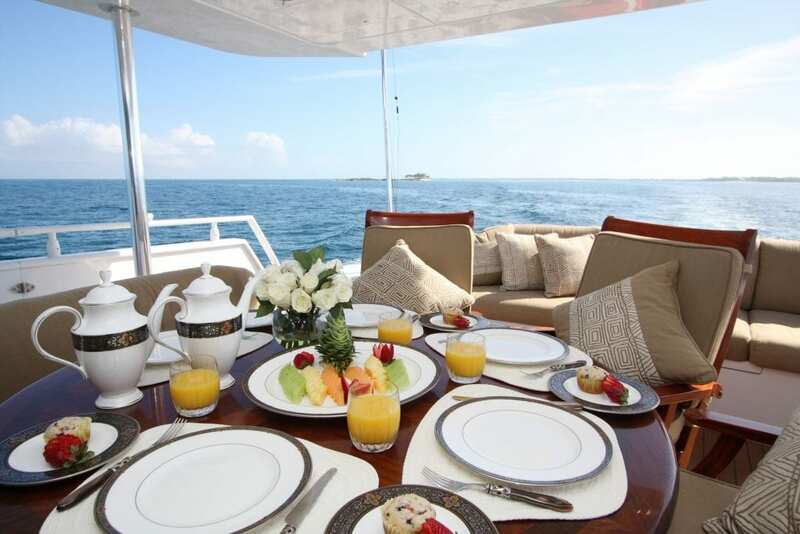 One of the best aspects of chartered yacht cruises is the fact that nothing is written in stone. While on your vessel, you can do what you wish at any time of the day or night and alter your activities according to weather and mood. On land, however, tours and events take place at certain times. So, if you’re traveling to a destination and want to see certain sights while you’re there, having an itinerary will definitely be a great help. A good way to find out what’s happening is to get in touch with your yacht crew, which has lots of experience with the area and knows many of the local residents. With this kind of vacation, you are the crew’s special guest. That means you may be able to take in some sights or events or have a personal tour or experience that other types of travelers cannot. Along with all of the luxury and breathtaking sights you will be spoiled with, your yacht charter also includes your own personal chef. Once matched with the perfect crew, your broker will be able to give you information about the available menu offered on board. When discussing the menu, be sure to inform your broker about any dietary considerations so that these options can be made available. You can also have input on any special dishes you’d like to be included. If you plan on catching the big one on a sea fishing adventure, your chef will be more than happy to prepare and cook it for you. One of the many great things about booking a yacht charter with a broker is the fact that they do so much of the work for you. However, you’ll still have to do your own packing. That being said, what on earth do you pack for a yacht vacation, and how much should you bring? Yachts are incredibly efficient vessels; everything on a yacht has both a place and a purpose. The same should be true of what you pack. Of course, the first thing you will need to know is your destination’s average expected temperatures for the time you plan to be there. Cooler temps at night will mean long pants and long sleeves, while warmer days will require less. Regardless, practicality is the goal. Bathing suits and cover-ups are definitely must-haves and will become staple wardrobe items as you swim, sunbathe, and lounge the days away. Flip-flops are not only completely fine no matter where you go, but they are also far more practical than high heels. You will be walking on many docks and beaches and may even get in and out of a dinghy several times during your stay. Can this be accomplished comfortably and safely in stilettos or dress shoes? Probably not. Another thing to consider is that dressing up means something entirely different in vacation destinations. A pretty sundress and flat sandals are ideal for a restaurant meal on land, as are a casual button-up shirt and cargo shorts or khakis. For everyday wear, t-shirts and shorts will be an absolute must. Packing a light jacket and a cardigan will help in places where the air conditioning is a little too cool. On a yacht, you will be constantly exposed to the sun. That being said, you’ll want to ensure your skin is protected, so be sure to pack light, long-sleeved shirts and/or sunscreen. As well, a hat will become a welcome addition to your suitcase, as it will help to shade your eyes from the sun and guard against sunburn and heat exhaustion. Another way to protect yourself from the sun is to hydrate, so ensure there’s plenty of water on board. Most yachts will have a great selection of reading material, but there may be a book or three that you’ve been meaning to start or finish on your vacation, so feel free to bring along your e-reader or the books themselves. Of course, if you have a special pillow that you sleep on, you’ll definitely want to bring it to ensure total comfort. Finally, you’ll want to remember to pack your toiletries, as these won’t be supplied. The best yacht broker for you is the one that has personal relationships with many crews, as well as connections to a wide range of vessels. Yachtstore’s global network of specialists match you with the perfect crew and yacht, and our simplified booking process will make it easy for you to start planning the time of your life in the Bahamas, Caribbean, Mediterranean, and other top vacation destinations around the world. Discover the difference of booking your luxury yacht charter vacation with an industry leader; call Yachtstore today at 1-888-446-4141.